Its a very strong plant known for its ability to survive under adverse conditions. 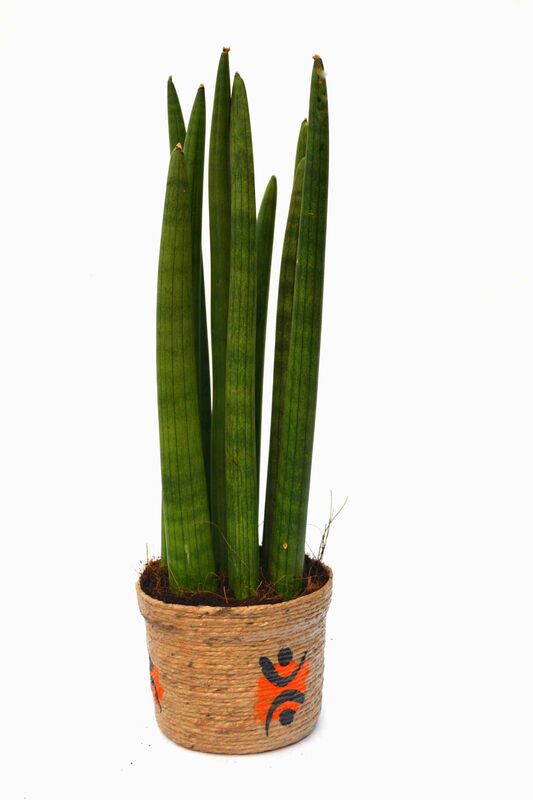 As it absorbs maximum amount of xylene and benzene from the atmosphere, it also acts a very good stress buster plant. Caring instructions: Water it half a cup once every day and make sure that the soil is a bit moist. Put it near the window so that it receives some indirect sunlight during the day. Once a week, put it out in the balcony for 3-4 hours of morning sun.